Metal roofs are almost always found on barns. They are very common in rural areas and can be used for any size barn. Installing these metal roofs on a barn is similar to installing the metal roof on a house or shed. Metal roofs are easier to install than shingled roofs and involve fewer steps. With the proper tools and correct installation method, metal roofs can be installed by any barn owner in almost no time. 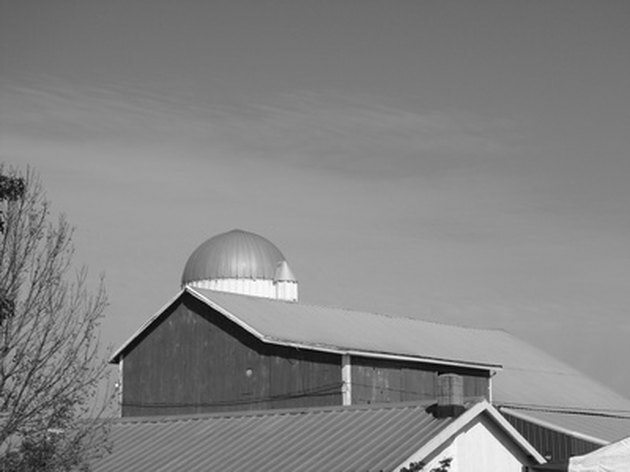 Barns are typically roofed in metal. 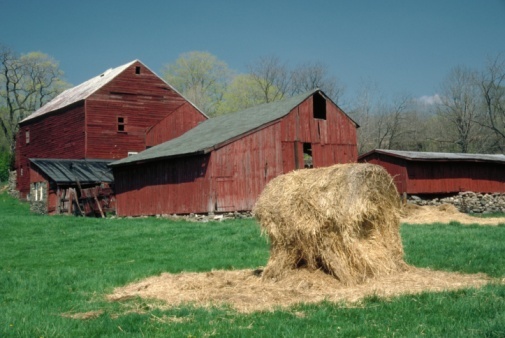 Run a tape measure along the base of the barn to get the measurements for the width and length of the barn. Multiply the two measurements together to get the total square footage, which will determine how many pieces of roofing will be needed. Lay the first piece of metal roofing beginning in the bottom corner of the roof. Set it flat on top of the sheathing underneath and insert a metal screw beginning on either side of the piece. Continue around the piece inserting screws every two feet on center. Lay the second sheet out so it overlaps the first by one ridge. Install the second sheet in the same manner and continue around the roof until reaching the end. Cut the end piece to size with tin snips if necessary and move up to the row above. Install each row until the roof has been completed. Inspect the roof to make sure all the metal has been properly nailed down and no pieces are sticking up. Check to see that no nail is loose and that everything has been properly installed.